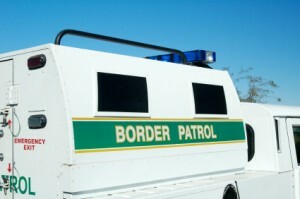 A Border Patrol agent defending himself against a physical assault shot and injured a man Friday, officials told the Arizona Daily Star. The shooting at 8 p.m. occurred when an agent was tracking down two reported undocumented immigrants outside of Douglas, Ariz., near the border with Mexico. The agent was trying to arrest the two men when one of them began fighting with the agent, officials said. The suspect grabbed the agent’s steel baton, prompting the law enforcement official to shot the suspect, striking him in the leg. The suspect’s injuries were not life threatening. Both suspects are in custody. Posted: 12/19/16 at 9:10 AM under News Story.